Make your new members feel like they belong by welcoming them with an Insta-Set: Insta-Sets are packets of envelopes mailed first class directly to your new member, just like the envelopes your existing families receive. Insta-Sets allow you to welcome your new members with a set of offering envelopes immediately. First impressions are everything: Don’t send your new members a sub-par set of envelopes. Instead, WOW them immediately with the same full-color weekly envelopes your existing members receive. They’ll instantly feel welcomed into your Church community. 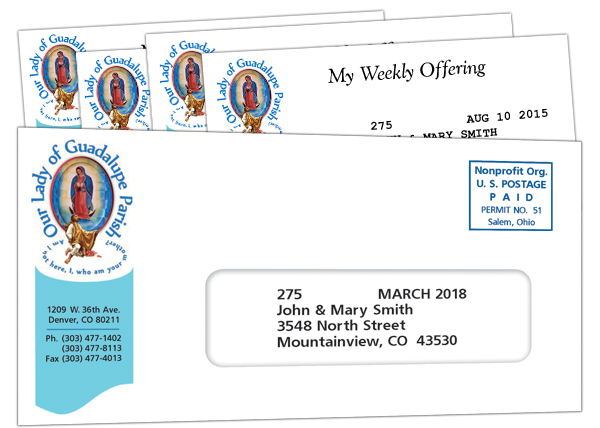 Church Budget will get a set of your custom, full-color envelopes in the mail to your new members the very next day. Ordering Insta-sets is easy: Simply send us your new member’s contact information the same way you send your regular file, or if you are a StewardSoft user, just check the “order Insta-Set box” when you add a new family. It’s that simple! Within 24 hours we will have the Insta-Set in the mail.